We woke up early hoping to escape from the campsite before the mosquitoes woke up. Unfortunately, this wasn’t possible. At 5:20 when Andy opened his eyes and gazed up at the sky through our fly-less tent he could already see them buzzing around and landing on our tent. Darn! We packed without urgency, making sure we were both fully covered before exiting the tent. Laurie wearing 2 pairs of gloves and her head net tucked under a fully zipped and hooded raincoat. We left camp at 6:45 am. The mosquitoes followed us wherever we went. Laurie quickly began to roast in her rain pants and raincoat but was hesitant to take them off in fear of being eaten alive. Eventually, she succumbed. After all, we are in their habitat. Whenever we stopped to look at a map or talk to other hikers the mosquitoes swarmed. 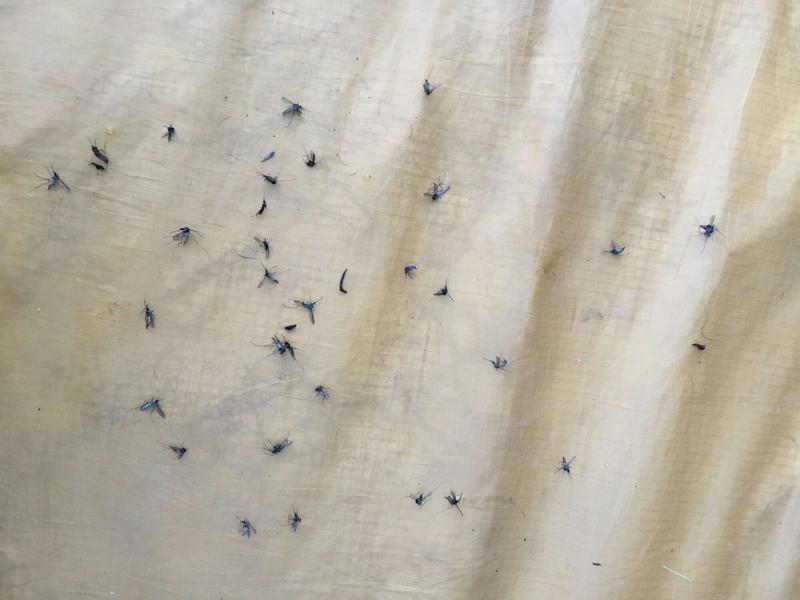 They weaseled their way into our head nets and munched on us through our gloves, pants, shoes and shirts. Laurie’s strategy was to keep moving. We weren’t moving as fast as other mornings but without many breaks we had covered 14.5 miles by lunch. Based on a suggestion from Letha, the hiker we had met the night before, we took a side trip to Mink Lake. It was a beautiful deep blue lake but there was no easy access to the water, at least on the side we hiked along. We had planned to meet Karen and Derek here for a break before going our separate ways. We left a note for them on the junction signpost and walked on to Porky Lake. We both appreciated the creative lakes names. Unfortunately, Porky didn’t have any good spots to rest and the mosquitoes quickly found us when we stopped for more than 10 seconds, so we continued on. 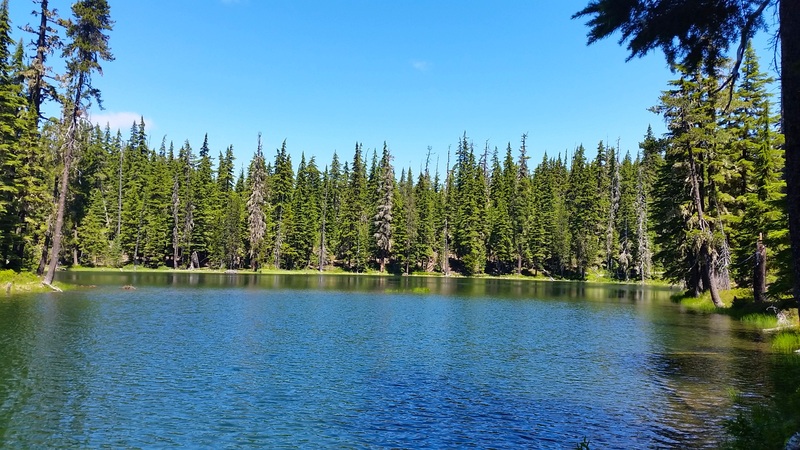 There were campsites at Dumbbell Lake so we figured at least we could find a place to put up the tent to dry and eat out of the range of the mosquitoes. Boy were we in for a treat! 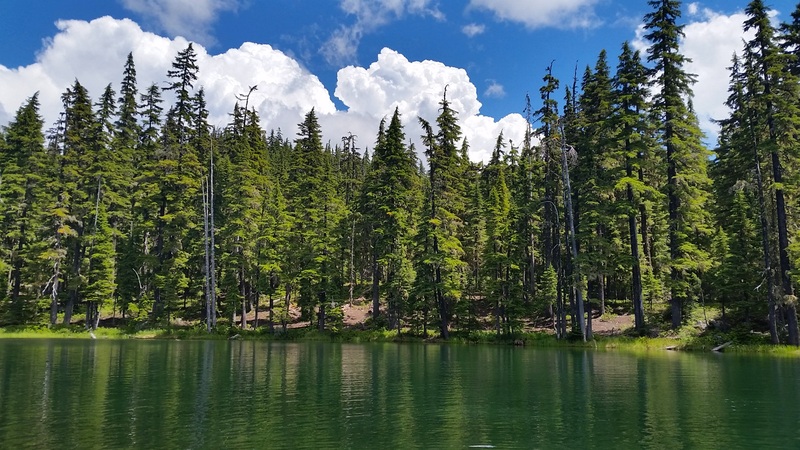 Dumbbell Lake was clear and beautiful! We found some rocks to sit on and within 20 minutes both Derek and Karen joined us. The sun played hide and seek amongst the clouds. Laurie wavered back and forth about going for a swim. Andy offered to push her in, but she opted not to take him up on the offer. We relaxed for over an hour. Finally around 2:30 when the sun escaped from the clouds, Laurie decided to get in the water. We finally laced up our shoes around 3pm. Apparently we were in no rush to walk the remaining 10 miles to camp. As we hung out at the lake we admired the building thunderheads above. They were beautiful white fluffy clouds but unfortunately the products of these clouds is not as beautiful. Well, at least when you are hiking. We said goodbye to Karen and Derek since they were going home and to Bend, respectively. As we walked we heard a few claps of thunder. We were walking through a forest so it was difficult to assess the changing weather patterns. 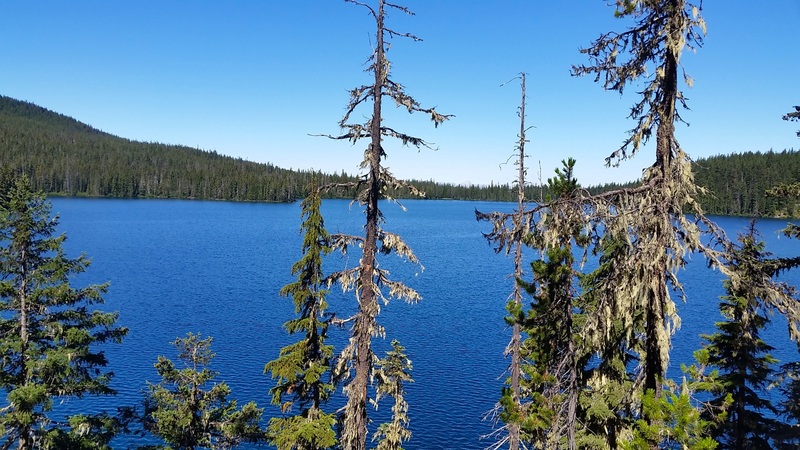 As we neared the Elk Lake cut off Andy checked and found he had service – 50% chance of thunderstorms and rain predicted for tonight and all day tomorrow. The area we had planned to camp tonight was on a ridge at 6500 ft – not ideal for a thunderstorm. Additionally the next section of trail is supposed to be beautiful and we didn’t want to rush through it with our heads down walking through rain. We would play it safe and go into Bend for 2 nights to wait out the storm. Laurie has heard wonderful things about Bend and was excited to see the town for herself. Andy likes adventure and was excited to avoid being wet for 2 days. We set up our tent next to the trail to wait for Karen and Derek in a bug free shelter. We shared our new plan, made sure there was enough room for us in Karen’s car and trotted down the trail after them. 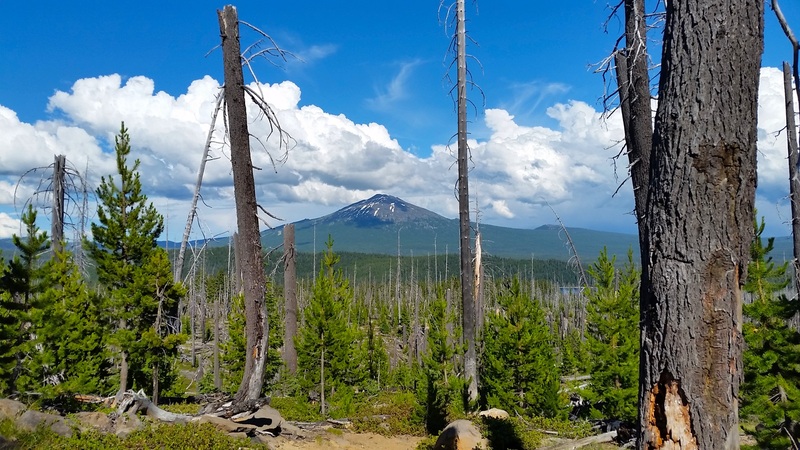 Just as the trail entered a burn area we turned off for a one mile downhill walk to Elk Lake Resort. We piled into Karen’s car and drove to the resort. We were startled at the number of people milling around. Being in a car didn’t feel weird but being around so many people did. It is fascinating to witness what effects us nowadays and how. After calling family we drove 30 miles into Bend. As we dropped into the valley the clouds darkened and it started to rain. We saw multiple rainbows as well as beautiful views of the Sisters and Mt Bachleor. We had dinner at Cascade Lakes Brewery and got a room with 3 queen beds! Who knew this even existed? We showered and snuggled up in cozy cotton sheets. When we woke up this morning we didn’t expect to be sleeping in a bed tonight. It feels good to be free to make these spur of the moment decisions. It is also unfamiliar territory for Laurie, who lives a well calculated life. That is what this adventure is all about – challenging us to grow and learn. Tonight we are grateful for beet salads and a new trail family. 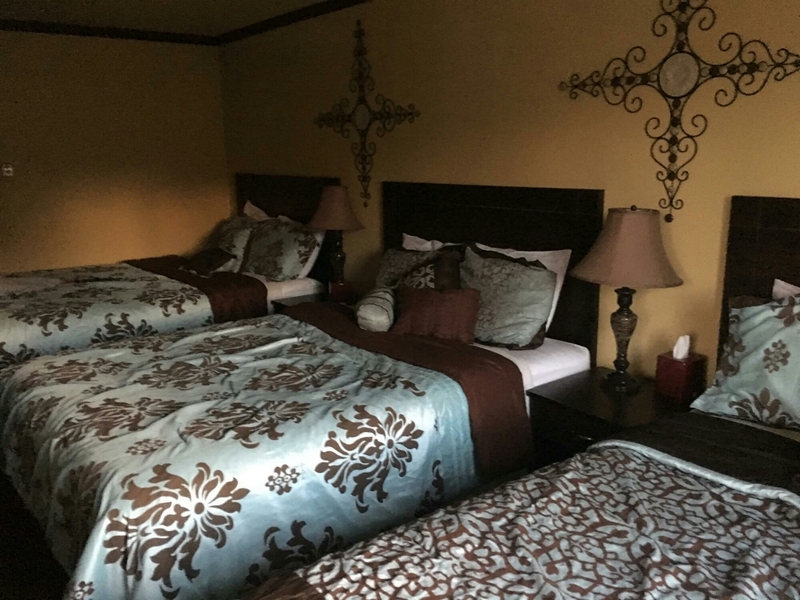 3 queen beds in one room? Heck Yeah! 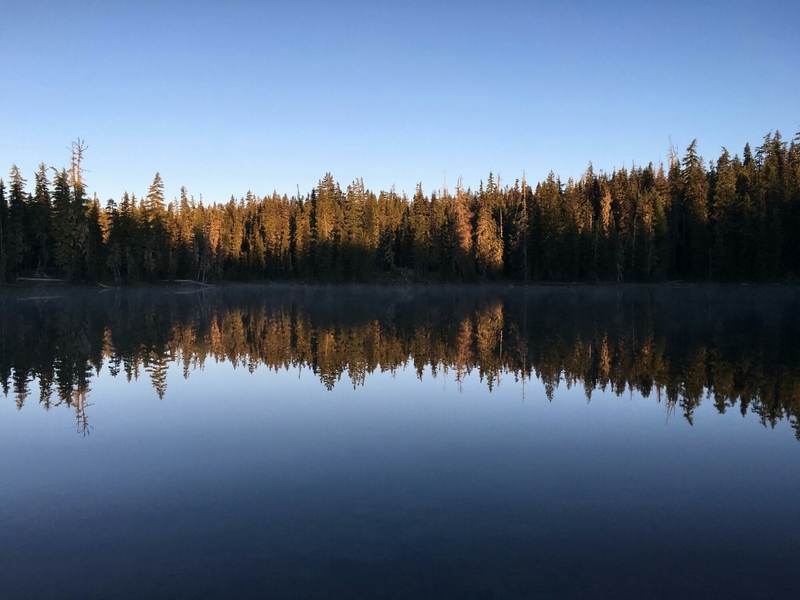 ← Day 104 – halfway through Oregon! If you had to guess, what percentage of thru hikers bring some form of a stove? So cool to read about you day’s out on the PCT. Keep up the good work and keep the posts coming. 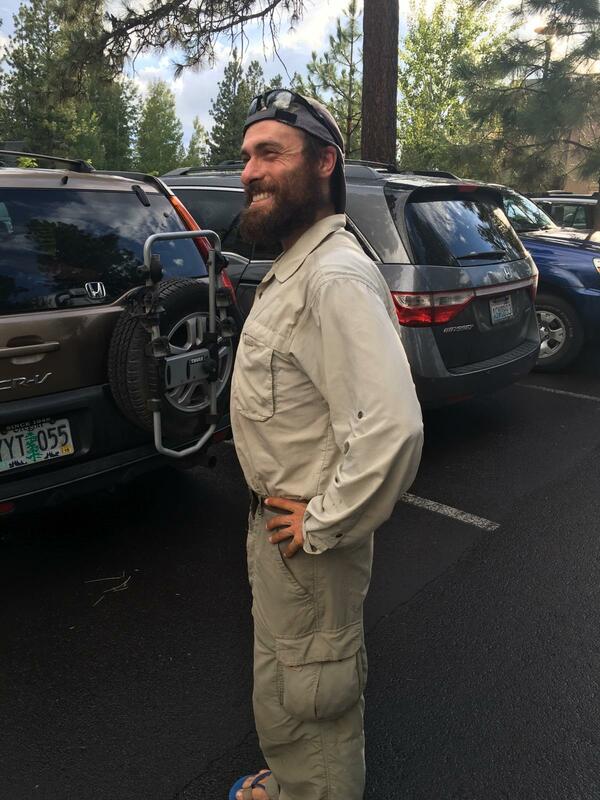 I am loving reading about your adventures on the PCT. Keep it up and thanks!! Thanks guys for being diligent with your post. Love the photos and being bug free . You are making great progress and like when you stray off trail for a little adventure . Thanks Patti! We still talk about your wonderful trail magic and how amazing it was to stumble upon apples in the desert. Thanks for following along with us! Thanks for letting us follow. I’m especially grateful since I’ve been recovering from a little minor surgery . Reading your posts and viewing the wonderful photos have kept me entertained and smiling . These past few days I have been grateful for many things — my headnet, Halfmile’s App, a good breeze, a swim-worthy lake, chocolate — but more than anything I am grateful for being a part of your little hiking posse. Thanks for sharing fun times and hiking intel. hope to see you again on up the trail! Thanks Karen! It was a true pleasure hiking with you. We hope to see you near Timberline! Just read through your entire blog/adventure in the last week. Thanks for sharing your journey. 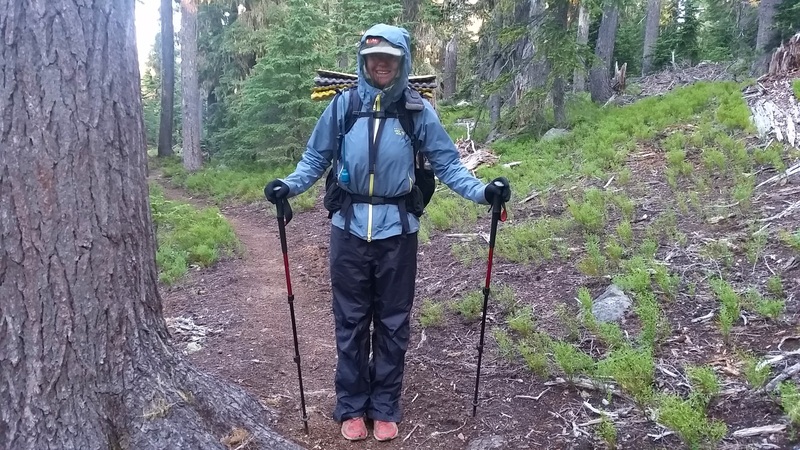 I live on Oregon and dream to one day hike the Oregon portion of the PCT…although those mosquitos may change my mind! Haha! 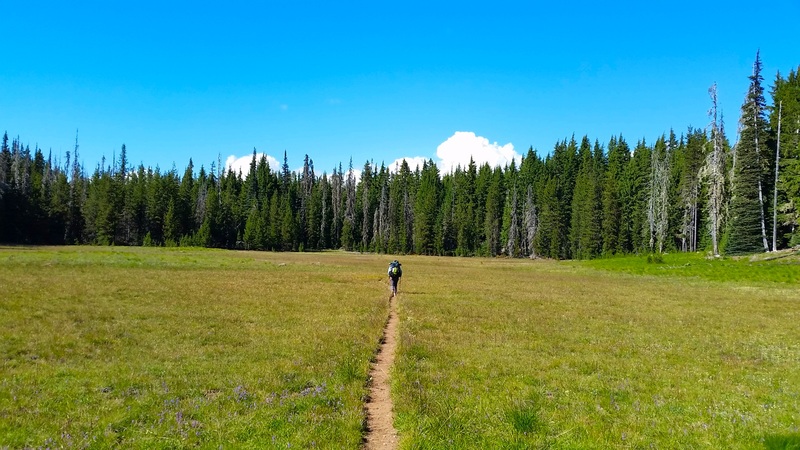 Don’t let the mosquitoes stop you, but consider hiking in August rather than July. You may get blueberries too!! Welcome to Bend. I love it there. I hope you do too. Thanks Sharon. It was a quick stop but we got all the essentials: ice cream, showers and cotton sheets. We will definitely come back to explore more- it seemed like an awesome town.